If you’re looking for a new mattress that delivers luxury-quality at a lower price than other retailers, than the all-foam Loom & Leaf mattress may be the right choice for you. Loom & Leaf comes from Saatva, and this company was one of the first to offer online mattress sales in 2010. The Loom & Leaf mattress provides 4.5 inches of top-quality memory foam layers that contours to your body, cradling you. Saatva utilizes several features unique to their mattresses to diminish heat retention that is a common problem with foam beds. The mattress is 12 inches tall with 4 layers made using sustainable U.S. sources. Motion transfer is minimal since it's made all of foam. This mattress also makes almost no noise with movement. What is a Loom & Leaf Mattress? As one of the first mattress companies with an online sales model, Saatva has had plenty of time to perfect their mattresses and the buying process. Saatva’s Founder and CEO, Ron Rudzin, explains that they designed the Loom & Leaf mattress on the heels of the success of their innerspring mattress. Like most people, they believe that a great night’s sleep on a high-quality mattress with less hassle than in-store shopping was not too much to ask. The company also goes to great lengths to reduce their carbon footprint by utilizing sustainable sources found in the United States. The value you receive for the price is phenomenal. For instance, a queen-size Loom & Leaf is approximately $1,299 compared to the Tempur-Pedic Tempur-Cloud Luxe Breeze which costs $4,799. Its more expensive than competitors such as Casper or Leesa but the quality is far superior. Something else that sets this product apart is the White Glove Delivery Service. Every mattress comes with this service where professionals deliver and setup your mattress. You can use most standard bed frames, but Saatva recommends using one with a sturdy central support and newer box springs. The warranty will be void if you don’t use a frame with central support. They offer foundations explicitly designed for the Loom & Leaf on their website. Saatva uses high-density memory foams to relieve pressure and provide support. People who swear by this mattress say that it reduces many of the aches and pains that are common problems. The company also meets the needs of the majority of sleepers with their two options, relaxed firm, and firm. Saatva’s warranty coverage and sleep trial are longer than most. Here are the main features of these mattresses. A combination of fire-resistant thistle and exceptionally soft organic cotton create a cover that feels cool against your skin. They even included a thin foam layer to help relieve extra pressure. Loom & Leaf mattress designers crafted this layer from 2 inches of luxurious conforming gel foam that responds slowly to pressure. Built with a unique swirl technology, it ensures even distribution of the gel throughout the layer. Another gel layer laminated on top of the lumbar region area provides more relief for lower back pain and pressure. Comprised of dense, visco elastic memory foam, this layer also responds slowly to pressure and was developed to cradle your body’s curves. Both this layer and the gel layer work together to relieve pressure against your body. The transition layer is a portion of polyfoam that creates more support for sleepers. It primarily bears the weight of the softer top layers and attaches them to the durable base. This durable layer crafted from high-density polyfoam is 5.5 inches thick and helps give the mattress its shape. It also anchors the mattress as well. The foundation layer also makes the sleeper secure while providing sturdiness. You won’t disturb your sleeping partner’s rest in this mattress, and memory foam mattresses function well in this aspect. They absorb movement, stopping it from rippling over to the other side. The Loom & Leaf memory foam mattress is great at isolating motion. As you sink into this mattress is molds to your body. As a result, people with different body shapes and weights will feel its firmness differently. One crucial factor is whether or not you feel like you get stuck in the mattress. Most people label the Loom & Leaf mattress as medium firm. Medium firm mattresses appeal to the most people and eliminate that trapped feeling. The relaxed firm is Loom & Leaf’s flagship level and provides support that’s not too hard or soft. On a scale of 1-10, 1 being the softest and 10 being the firmest, this mattress falls in the 5-7 range. Sleep experts never recommend anything under a 5 because it lacks proper healthy support. The firm comfort level is for people who want a really firm feel. This level falls between the 7-9 range. Anything above a 9 is too hard for joint comfort and healthy sleep. Edge support is also crucial so that you feel secure and not like you’re going to roll out of bed. Innerspring mattresses usually have better edge support because of their construction. Memory foam activates with heat and spreads slowly which is not great for edge support. However, the Loom & Leaf support is quite remarkable compared to other memory foam mattresses. When sitting on the edge, you’ll feel some compression, but if you lay along the side, you won’t feel unstable. While edge support may not be the deciding factor of a mattress purchase, it’s a nice feature if you share a bed and use more mattress surface. Many memory foam mattresses are hot to sleep on, but the Loom & Leaf has breathable channels and a unique Spinal Zone Gel slab to keep you cooler. The convoluted construction of the top layer also helps keep you cool while sleeping. The only place you can purchase this mattress is from the Loom & Leaf website. These mattresses are not available in any stores. The purchase process starts with the 120-night trial. One of the best-selling features of this mattress is the 120-night sleep trial that Saatva offers. Nearly 20 percent of people who tried and purchased a mattress in-store said that it felt different than the one they tried in the store. That’s beyond frustrating. The company has very few returned mattresses and never restocks returned products. To try this mattress head on over to their website to have the mattress delivered to your house to start the 120-day trial. They’ll do everything that they can to make the buying process easy and smooth. If you have problems with your mattress and it's considered defective during the first two years after you buy it than they’ll replace it with a brand-new mattress at no cost. After the first two-year period, the company will repair and re-cover the mattress for $99 each way for transportation costs. There is also a “Fairness Replacement Option” that you can choose instead of Saatva repairing your mattress. This option allows you to purchase a new mattress from the company at a discounted rate. 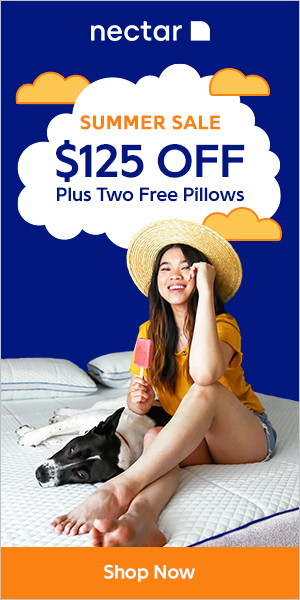 The discount depends on what year the mattress becomes defective. To learn more about their warranty, see this page on their website. Who Can Sleep Best on a Loom & Leaf Mattress? Since the company offers a firm and relaxed firm mattress, most people are comfortable on a Loom & Leaf mattress. These mattresses work well for stomach, back, and side sleepers. Of those that reviewed them, people of all sizes rated them very good for those sleeping on their sides and very good for average weight people who prefer sleeping on their back. Those who weigh less will probably like the relaxed firm better. What’s most important is your own support and comfort which is why the 120-night sleep trial is incredible. If you’ve never slept on a memory foam mattress, don’t expect these mattresses to sleep the same as traditional mattresses. They conform more to your body and feel completely different. You’ll love this mattress if you want a soft, luxurious, and affordable mattress and prefer the contouring that memory foam offers. 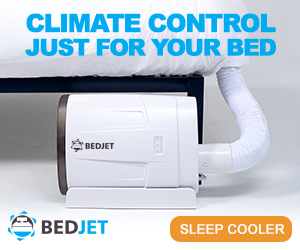 It’s also great for those who share a bed because of the motion isolation. You can toss and turn or get up and down without disturbing your partner. That may be worth buying a Loom & Leaf alone. How Much Does a Loom & Leaf Mattress Cost? The Loom & Leaf mattress is more expensive than its bed-in-a-box counterparts, but its luxurious quality is still much less than memory foam mattresses available in stores. It even comes with the same setup service at just a fraction of the cost of the larger brand stores. There is no cost for shipping and no additional charge for the in-home mattress setup. There are several options for frames available right online such as adjustable or standard. You can also purchase split adjustable foundations so that the mattress adjusts separately on each side or the whole mattress adjusts as one piece. Adjustable bases pair well with this mattress and offer the most luxurious and comfortable sleeping solution. The lineal adjustable base offered online provides Zero-G and weightless support. It also has under-bed illumination that lights a pathway or helps you find something under the bed in the dark with the simple touch of a button on the remote. The adjustable base also has a massage function that massages your whole body, head, or legs. It has 3 speeds for the ultimate in mechanical massage. The remote also allows you to program 1-touch, customized settings for the various positions that you prefer to read, sleep, or more. Adjusting positions doesn’t change the amount of space between your wall and night tables. The bed does all of the work, simply gliding into place. A sealed case houses the motor so the it is also incredibly quiet. Saatva prides itself in treating their customers like best friends instead of just another sale. There is no hassle about who provides services or the warranty. There’s no nonsense such as the retail store telling you to call the mattress company or the mattress company referring you back to the store. They try to provide low-stress and simple transactions. They don’t have sales, so there are no tricks or games. Team members don’t work on commission. With no stores, the company can pass the savings to their customers. They keep their product line simple. Saatva is only a mouse click or call away. Their team members treat you like a best friend because they see your business as a privilege. Saatva believes it's vital to protect our planet and resources. The company contacts you soon after you place your order. They love receiving feedback from customers. So, if you’re trying to decide on the best mattress to purchase, give a Loom & Leaf mattress a try. They provide excellent value for the price, and you may just get your best night’s sleep ever.